Sergeant Mann has travelled to Aden in order to question Sergeant Rolfe (Leonard Rossiter). Rolfe, an unbending soldier of the old school, is admired for his fighting qualities but has few friends amongst the men. Accused of beating up a local, he denies the charge – but the matter becomes much more complex after Rolfe dies on manoeuvres. I’ve said it before and I’ll probably say it again, but Redcap featured some excellent guest casts. In today’s episode we have Rossiter, Kenneth Farringdon, John Horsley, Ian McShane, John Noakes and Mike Pratt. That’s not too shabby a line-up. Rossiter catches the eye early on. Rolfe and Mann, as you might expect, clash quite strongly. It’s restated in this episode that Mann is young and inexperienced and this naturally irritates an old sweat like Rolfe. Although Rolfe denies any wrongdoing, there seems little doubt that he did viciously beat up the local – purely because he felt the “wog” (a term which is used several times) needed to be taught a lesson. Sergeant Rolfe may, we’re told, sometimes overstep the mark but the British army needs soldiers like that. That’s certainly the opinion of Major Coulter (John Horsley) who attempts to guide Mann into accepting this point of view. Mann doesn’t acquiesce immediately, which is another source of friction. The Aden setting (achieved with a spot of stock footage and liberal application of fake sweat) is an interesting one. By the mid sixties it was one of the few remaining outposts of the British Empire and the pros and cons of occupation are discussed here. Each side is allowed their viewpoint – chiefly Coulter and Asst. Sup. Yacoub (Norman Florrence) – but Richard Harris’ script isn’t a polemical one. The viewer is left to make their own mind up, although the historical distance of fifty years or more has no doubt changed the perspective somewhat. Whilst Mann is investigating Rolfe, there’s a secondary plot bubbling away. 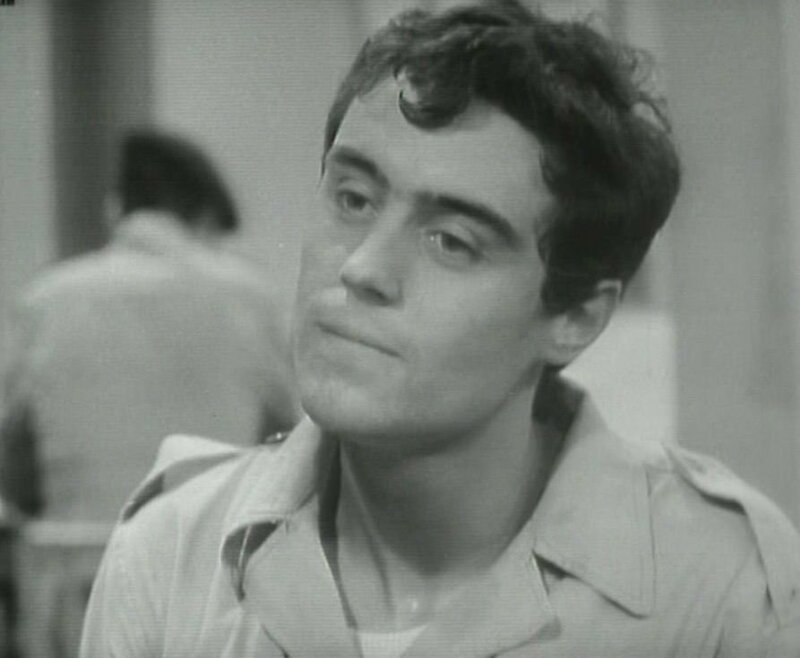 Two young sappers, Russell (Ian McShane) and Baker (Kenneth Farringdon), are clashing time and time again. Baker is cocky and aggressive whilst Russell is passive and disinclined to respond to Baker’s taunts and jibes. Whilst – at first – this doesn’t seem to connect to the main plot, it’s still very intriguing. Why is Russell so self-contained? 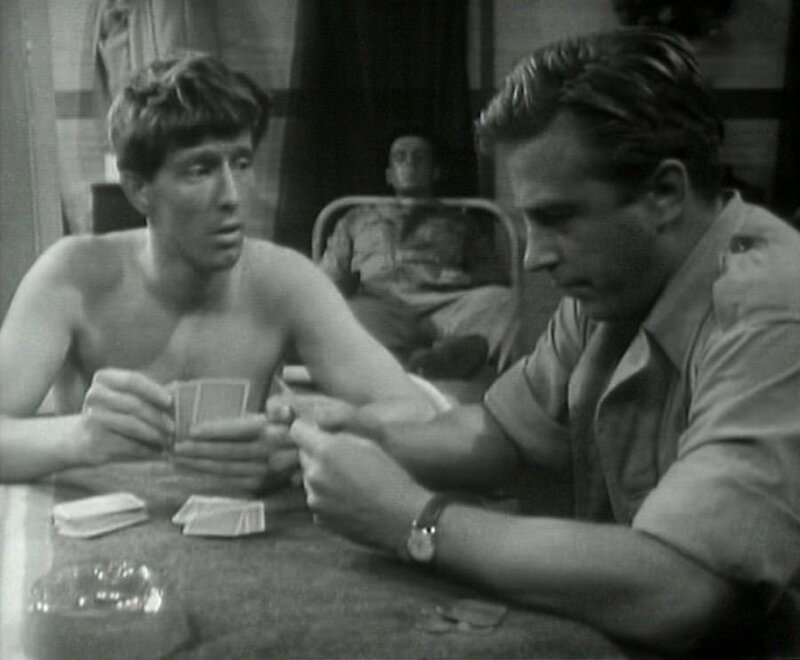 Both have little love for Rolfe, so when the pair of them – along with Morse (Roger Heathcott) and Evans (John Noakes) – head out into the desert with him, there’s an obvious question to be answered – was Rolfe’s death an accident or murder? Having earlier questioned Rolfe, Mann now has four fresh subjects to quiz – indeed, this episode is an excellent one for showcasing Mann’s methodical approach. Morse seems like a bit of a non-entity (he’s easily the one allocated the least lines) so can probably be discounted. And since Evans has been painted throughout as the comic relief, that leaves us with Russell and Baker as the more likely suspects. Unlike the opening episode, there’s a satisfying conclusion to this investigation – Mann is able to extract a confession which isn’t under duress this time (even if he does play a slight trick). The final few scenes with both McShane and Farringdon crackle very nicely – three episodes in and no duds so far. And if this one hadn’t been an episode of Redcap then it could have slotted quite comfortably into an anthology series like Armchair Theatre. Apart from those already mentioned, Mike Pratt has a couple of key scenes as Sergeant Bailey – possibly Rolfe’s only friend. As you’d expect from Pratt, it’s a self-contained performance with just the odd flash of panic (at the point when Mann’s questioning becomes too probing). Much more exuberant is John Noakes’ turn as Evans. Evans is Welsh. Very, very Welsh. During this era of television, it’s never a surprise to see British actors browning up to play ethnic roles (it upsets some today, but due to the small pool of actors available there wasn’t any alternative). However, it’s slightly more surprising to see a Yorkshireman cast in this role. Noakes isn’t bad (and it’s nice to see one of his handful of acting performances) but goodness, he ladles the accent on rather thickly ….